Skype releases its improved version Skype 5.0 for windows, a new version, promising to prove beneficial than ever before, comes up with some additional features for its users. But what’s taking people at surprise about the new version? It’s the inclusion of Facebook in Skype!!Confused? 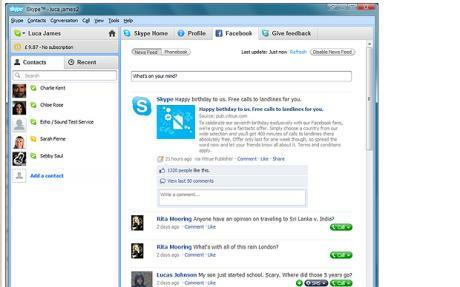 Actually Skype 5.0 includes a Facebook tab which will allow you to get connected with your Facebook friends through Skype. 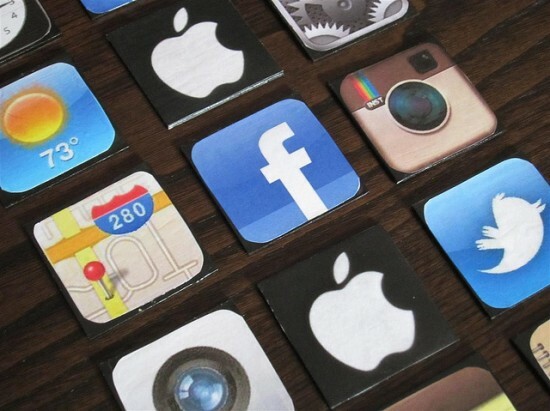 This will be possible through texts, chats or even calls making you more accustomed to social networking. All Skype users as well as Facebook users are surely going to benefit from this, having both the world (Facebook and Skype) together at their end. How to find Facebook in Skype? It’s quite simple and easy!! It’s all in the Skype home area. You will find the new Facebook tab in the latest version; once you connect with face book through Skype, you can access Facebook news feed and contacts through Skype. Isn’t it an easy way to get started with the new interesting feature? Now, you get to see the same face book page through Skype, except that two significant buttons: SMS or Call below the status update which will appear only if that individual or Facebook friend of yours has his or her phone number updated in the Facebook profile. The new feature has lot to offer. If your friend is not added to your Skype contacts, still you can contact him/her through Skype, you will find an option to add that Facebook friend to your Skype contact or you can also call or SMS your face book friend if he has added his number to his/her face book account. What else about this new version? Apart from this the new Skype 5.0 also has come up with improvements in the older sections like the new improved 10 way group calling, a much better contact list, an improved retooled user experience which will make the Skype users more satisfied than ever with the application. What’s new about the video calling- now with the Skype 5.0? The new version has a better Video calling facility which includes a “dynamic view” option which will allow you to position the person speaking in the larger video window and an improved 10-way group video calling, plus an automatic recovery feature giving a backup to disconnected audio and video in few seconds. The improved contact list now includes photos, allowing members to add a photo to their profile. This will help in search experience, as it will be easier for members to better find and add their friends to Skype. Mac users – Still To Wait!! A bad news for all the Mac users!! You will not be able to enjoy this new version of Skype at the moment and will have to wait. But you need not worry because Skype will soon come up with a similar Mac version soon. No doubt, this new innovation will give a big boost to both Skype and Face book. This way, face book and Skype will be able to attract new users through each other, as both have user base of millions. SEO-Semantic-XHTML, a specialized division of IPraxa, a full service web Agency, which offers PSD to HTML and software integration services. This no longer works. The new Skype versions don’t have “search for skype users” in their menu, . You can’t get a list of people matching a search any more. Skype has just updated itself and now my own video is GREEN and the quality is CRAP. What are they playing at. I can’t go back to the old version because it deletes it when it updates. Have they lost it? Previous story SEO-Semantic-XHTML – Believes in Continuous Improvement and Innovation!